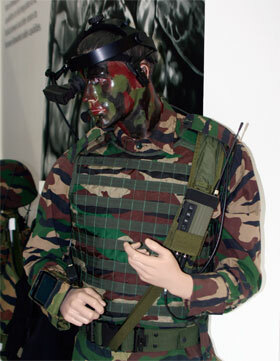 Malaysia’s work on its Future Soldier System has several aspects. There are currently no formal schedules for the programme, which is still in its initial phases with no formal issuing by the Army of a final requirement although industry, understood to include Sapura who are teamed with Thales on other projects have made submissions. Some technology development projects have come out, of such as earlier this year with the public display of the Malaysian Army Future Soldier Combat Uniform MK II. Malaysia has adopted NATO’s five capability areas to structure its programme: sustainability, mobility, survivability, lethality and C4I. Reflecting lessons learned in soldier modernisation efforts across the world, it is expected to be one of the first Malaysian programmes to move to a more agile procurement system minimising acquisition time and using new procurement procedures which reflect the need for greater flexibility. There is also expected to be a major input from the Malaysia Science and Technology Research Institute for Defence. Malaysia’s Future Soldier Systems is being built around concepts familiar to all similar programmes. It is driven by the need to respond to and realise the benefits of the revolution in military affairs, which envisages that future warfare will be fluid and dynamic and cover both the physical and cyber domains, although certain aspects remain immutable to the infantryman, namely the dimensions of war such as fear, fatigue, uncertainties and danger. Other features include an increase in urban terrain and more extensive lines of communication resulting in non-linear warfare, continuous operations, increased connectivity amongst network centric forces with an increased tempo and integration between units, arms and services. One of the objectives in the Development Plan for the Malaysian Army is to be in line with the concept of the future soldier and embark on the development of the Future Soldier Systems which consist of a network of systems designed to function as a single integrated system. Doctrinally, the goal of the Malaysian Army Future Soldier System is to assist commanders and their forces with the visibility to execute attacks against the best targets at the most opportune time with the most effective weapons. The capabilities designated and required to do this are in five categories. The first is Situational Awareness which represents the core of the soldier system, permitting information sharing in real time and providing the soldier with awareness of nearby friends. The Force Protection element covers protection and weapon impacts and environmental factors, equipment and combat uniforms that allow the soldier to survive as well as to provide enhancements to force protection through electronic means. 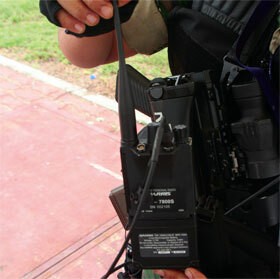 In Lethality terms, the scope of the Future Soldier System is to achieve the desired affects against selected targets, the ability to detect recognise and destroy enemy targets, Sustainability is the ability to maintain the soldier in the tactical environment and a mobility enhancing device which allows soldiers to navigate the battlefield more easily.